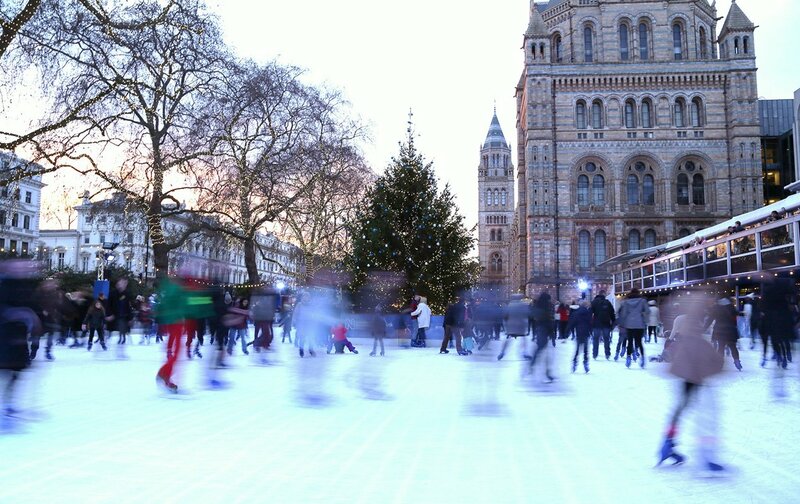 The Best Ice Skating Rinks In London This Year! The most wonderful time of the year is here! Roasted chestnuts, festive music, fairy lights and Christmas trees – London celebrates the holiday season with finesse. 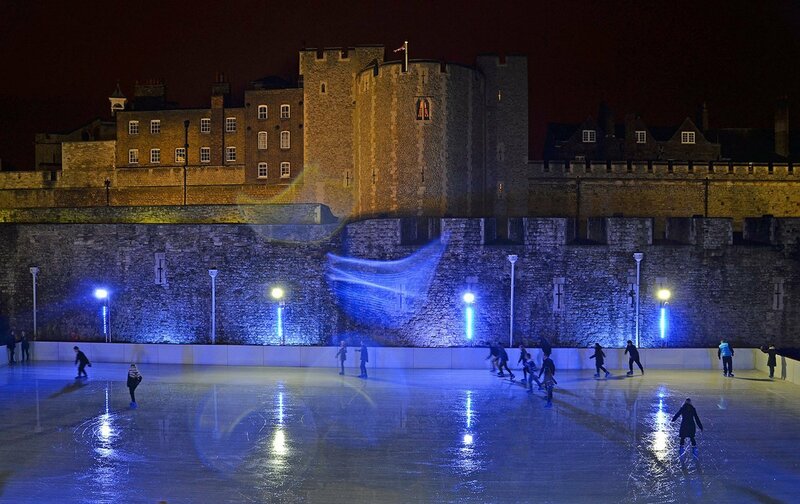 And for amateurs and seasoned skaters alike, London’s ice rinks are the perfect way to enjoy these merry months. Here are our favorite places to skate away the winter days in London! 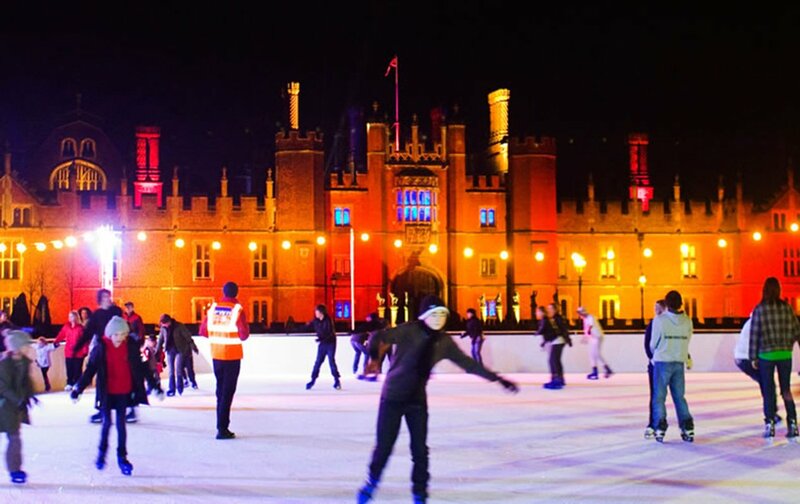 Ice skate to your heart’s content in a setting fit for royalty, at this 11,194 square-foot outdoor skating rink beneath the shadow of the imposing Tudor Palace, once home to Henry VIII. Instructors provide skating lessons if you wish, and you can make a full day of it, touring the Palace’s illustrious rooms before skating in the gorgeous Palace grounds. 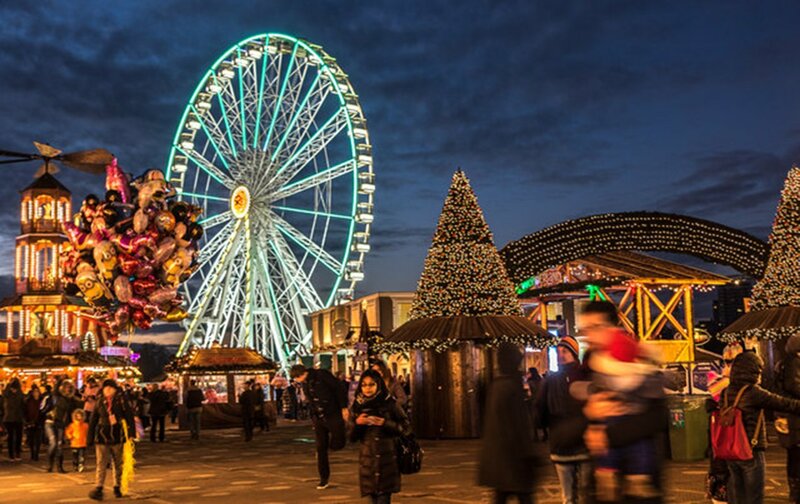 This beloved German Christmas market is celebrating its 10-year anniversary! Come skate beneath a canopy of fairy lights, where a classic Victorian bandstand serves as the center-point. The Winter Wonderland ice rink remains a family favorite, and with all the carnival fun and delicious food, it’s easy to see why. 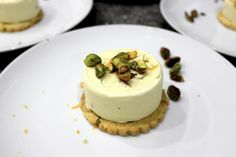 Live music will be sure to put a spring in your skate, and if you get chilly, indulge in a mug of hot chocolate or catch one of the fantastic theatrical performances. Skate alongside the majestic Hintz Hall, in a forest of fairy lights, spiced with the scents of toasted marshmallows and mulled wine. A smaller rink for children in need of a slower pace links to the main skating rink, so the whole family can join in on the festivities. 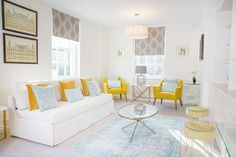 Plus, its location in South Kensington makes it the perfect spot for a lot of our London Perfect apartments! 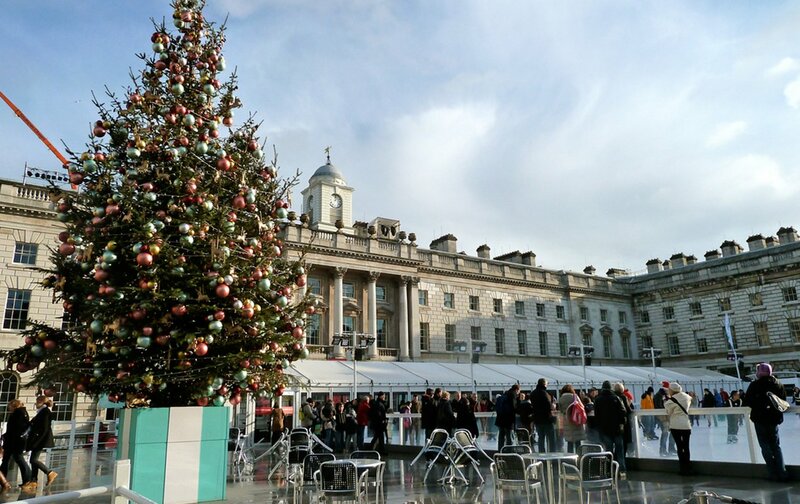 If you’re longing to test your skates somewhere grand and elegant, visit the 18th century courtyard at Somerset House. An ornamented tree overlooks the ice rink, where there are sessions for anyone over 8 years old to improve their moves, as well as after-hours club nights. 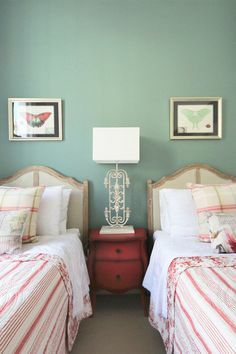 A must-visit this winter! Majestic setting? Central location? 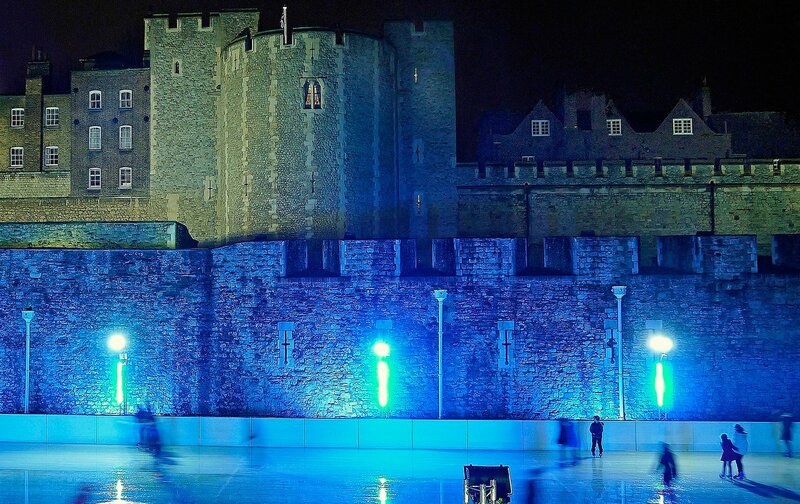 The Tower of London’s dry moat transforms into a glittering ice rink in the winter, making it the perfect spot to spend your holiday. Tour the infamous London landmark, then skate away the day, before relaxing at their pop-up ice bar, Eis Haus. 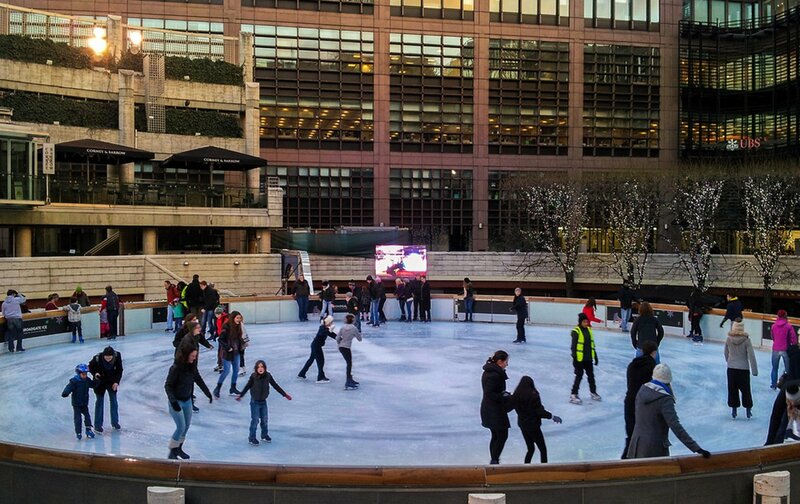 Not far from Liverpool Street, Broadgate Ice Rink is perfect for skaters wishing to avoid the bulk of tourists. This rink, flanked by city buildings, is especially quiet during the weekend, when London’s financial center closes. If you would like to make a day of it, skate over to the rink-side food stalls. We hope you enjoy these fun and festive ice rinks as much as we do! PREVIOUS: Big Savings During Our Black Friday Sale! NEXT: “A Christmas Carol” As You’ve Never Seen It Before! Posted on Friday, December 2nd, 2016 at 4:09 pm in See & Do. You can follow any responses to this entry through the RSS 2.0 feed. You can leave a response, or trackback from your own site.